Our Hawaiian Shaved Ice quart size syrup for snow cones is perfect for adding some delicious summertime fun. 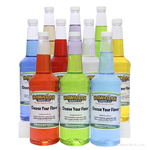 There�s no need to wait for the ice cream truck or spend money at overprice concession stands when you have your favorite quart of shaved ice syrup. Inexpensive and easy to make, snow cones using our ready to use, quart size shaved ice syrup are refreshing, flavorful and a great treat to enjoy at the pool, beach or a park outing. 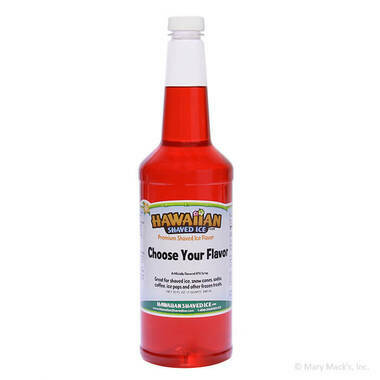 The Hawaiian shaved ice quart size syrup flavors can accommodate anyone�s taste buds. 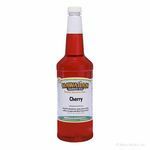 Our variety of fruit flavors, such as cherry, strawberry and grape, are always a hit, and our fruit blends, such as tiger�s blood and tropical blend, are sure to tantalize your taste buds. Or are you more of a chocoholic? Try our mudslide. 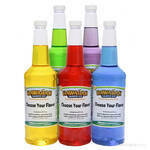 A quart of shaved ice syrup and a bag of shaved ice will ensure you stay cool during the hot days of summer. 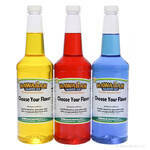 Many of our quart size bottles are also available in gallon size as well.